We are the only FN Dealer who receives anywhere near this volume of Scars, so please understand We will be able to fulfill everyone’s order within a timely fashion. As we receive our shipments of SCAR rifles, and will do everything in our power to expedite each order. If you want the best upgrades, attention to detail and quality craftsmanship then FN57SALE will do our best to get your Scar built and shipped out as soon as humanly possible, we just cannot guarantee delivery by a specific date, only that we will be able to deliver the gun within the next 3 months. If you do not have a deadline and want the best upgrades, attention to detail and quality craftsmanship then FN57SALE will do our best to get your Scar out to you as soon as possible. Custom Build Notice: Custom SCAR builds can take up to 90 days. Your order is 100% refundable until we assign a serial number. 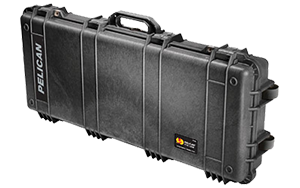 ELCAN SPECTER DR OPTIC – Elcan makes military grade optics. These optics are the same our special forces and elite combat units all over the world use. Go from 1.5x magnification to 6x with the flip of a switch. Recommend 1-4x for the Scar 16 and 1-3-9x models for long range shooting. 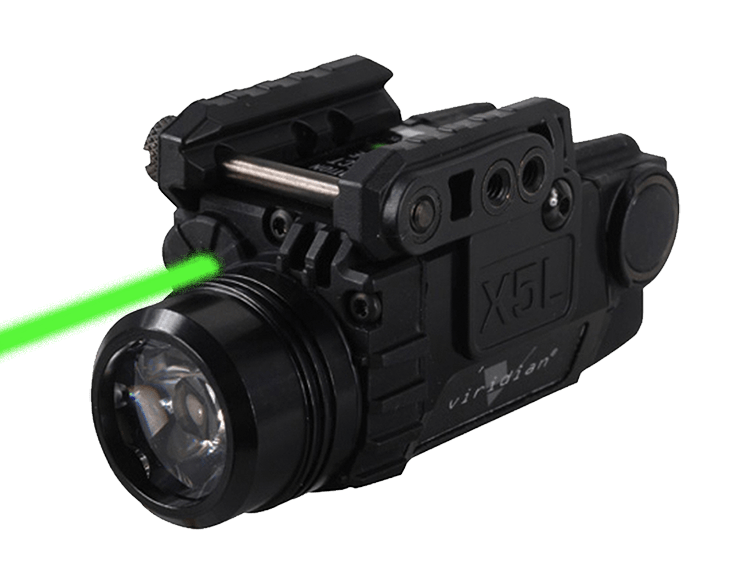 All include Red dot illuminated multi brightness internal LED and illuminated Bullet drop compensator with range finder and multi brightness cross hair illumination. These optics are the best tactical optics in the world. 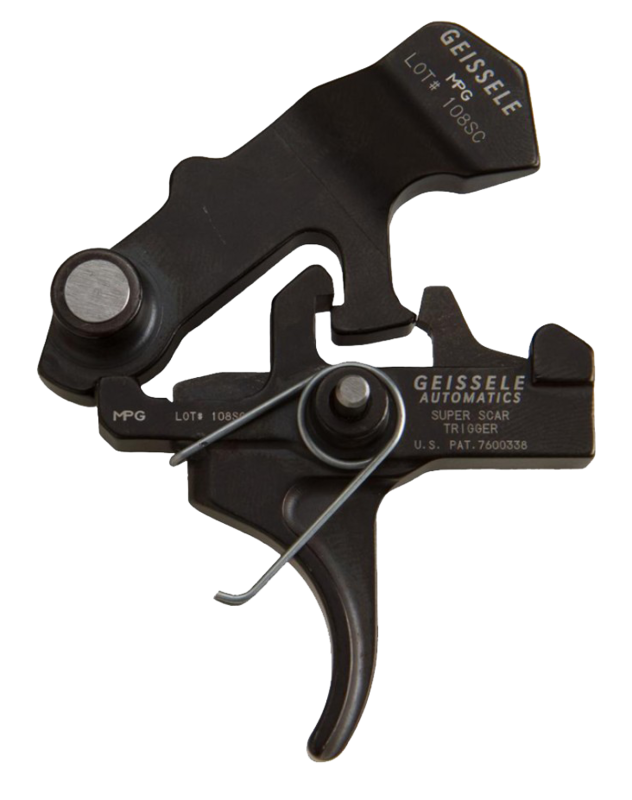 GEISSELE SCAR SUPER TRIGGER – MUST HAVE– FN trigger is around 7lbs. Geissele trigger brings an amazing 4lb two stage trigger which makes the gun shoot amazing. 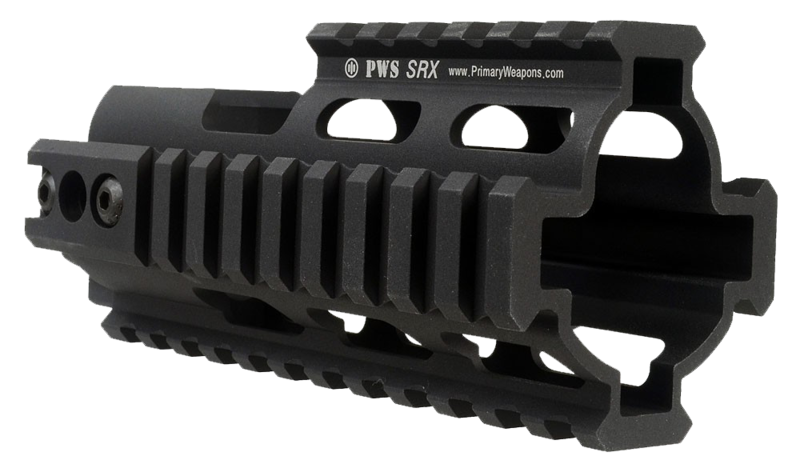 KDG REAR STOCK – MUST HAVE – FN stock looks ugly, doesn’t match with the new color and performs poorly. 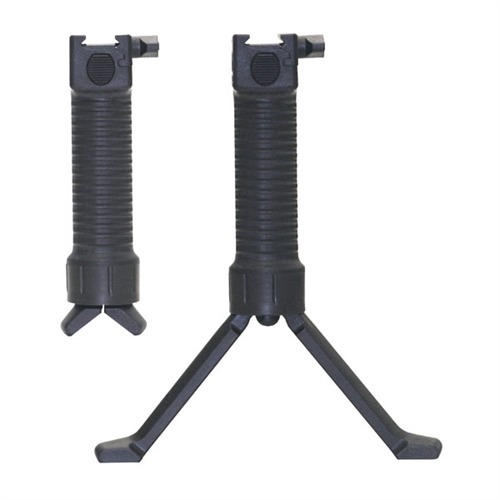 This upgrade allows your stock to telescope with one hand and close the stock without pushing the button. Matches the new gold color and gun perfectly. KDG TRIANGLE, SPEC OPS DUO or ANGLED CHARGING HANDLES – FN charging handle is just regular. 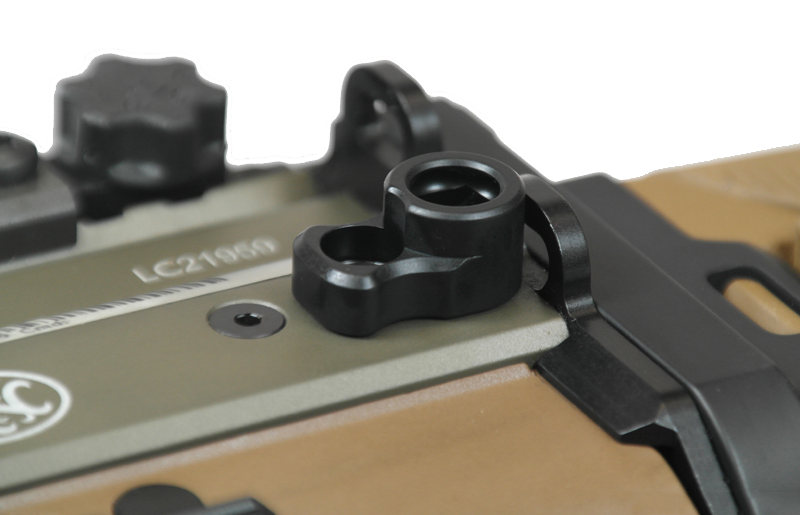 Billet angled charging handles allow the operator to ergonomically charge the gun from either side with ease. 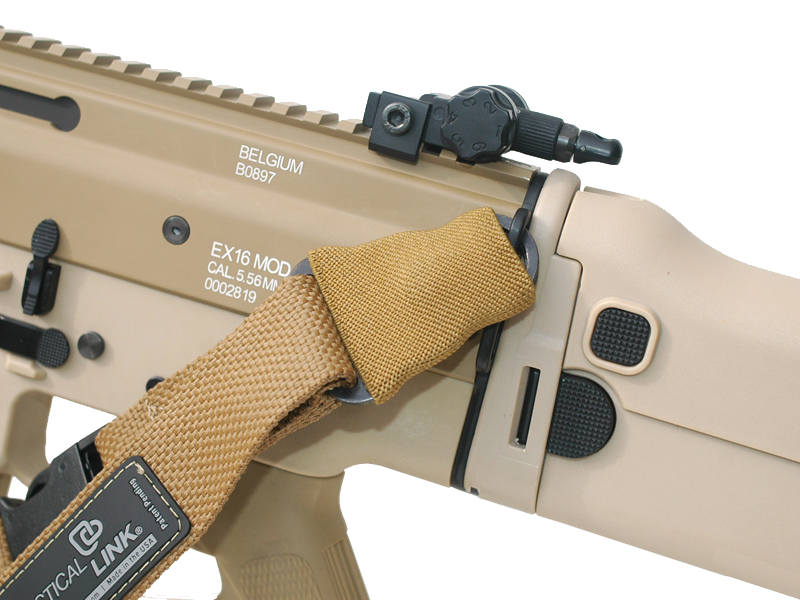 EXTRA MAGAZINES – The scar 16 accepts all 5.56 Mags. We Recommend the Lancer poly/metal mags. 40 round pMags available as well along with the original 30 round FN mags. 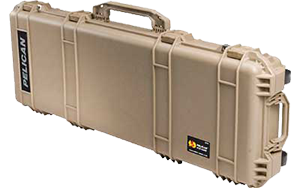 PELICAN CASE – Custom Cut Foam to fit your personalized upgraded rifle like a glove. 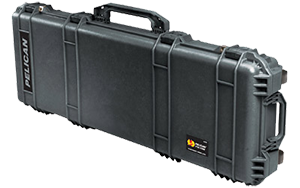 If your going to spend the money on a beautiful rifle, protect it with a custom Pelican Case for your rifle and accessories. Scar 16 delivers the experience a close quarters operator can appreciate. Pin point accuracy, super light weight, exceptional reliability and match winning versatility of the FN SCAR 16, the semi-auto only version of the U.S. Special Forces Service Weapon. Chambered in 5.56×45 NATO, the FN SCAR 16 features a free-floating, cold hammer-forged MIL-SPEC barrel with hard chromed bore. 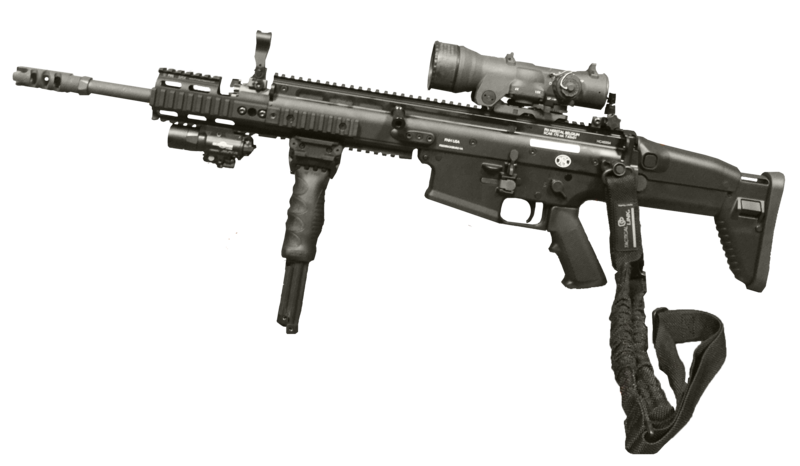 Fully-ambidextrous operating controls instantly adapt the FN SCAR 16s to any user or any shooting position. The receiver-integrated MIL-STD 1913 optical rail plus three accessory rails enable mounting of a wide variety of scopes, electronic sights, tactical lights and lasers. The telescoping, side-folding polymer stock is fully adjustable for comb height and length of pull, making the Scar 16 ideal for any combat situation. One of the items offered on FN57SALE is the ability to add a suppressor to any one of our FN Firearms. The Scar 16s is no exception. This gun shoots a fast round that makes an impression when the trigger is pulled. If you are like me, a quality suppressor is a must have on any rifle, especially a 5.56×45 NATO The IA Interceptor 5.56 with Exo-Shroud makes for a perfect fit with the Scar 16. The look of the suppressor really complements the Scar design, and it also makes the beast of a machine purr like a kitty cat. 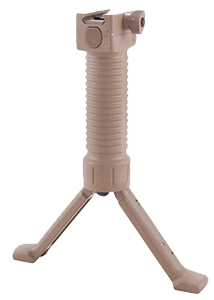 The quick disconnect system allows for easy on and off, so you can quickly muffle the sound of the 5.56 flying down range at 2600 feet per second toward your target. Elcan SpecterDR Optics are the world’s best military grade optics system. With the flip of a switch you go from 1.5x magnification to 6x magnification instantly without having to dial in a scope. The 1-3-9 is a scope which has 3 settings, 1x zoom, 3x and 9x… It takes just the flip of a nob to switch between these settings. Video to come soon. 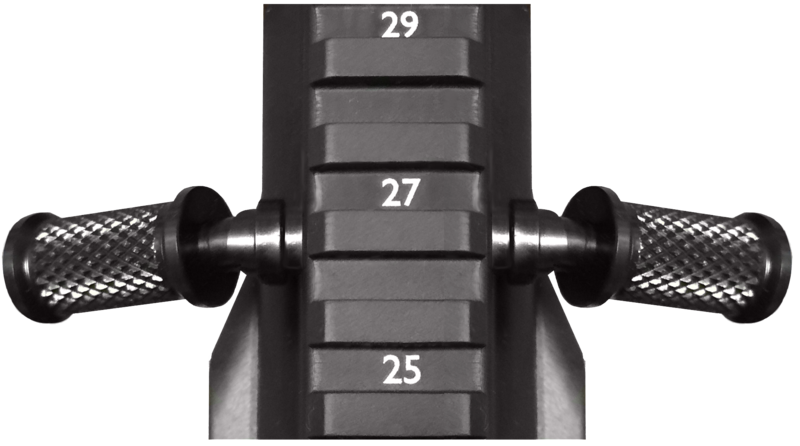 *Installation of these rails require special tools & pencil blow torch to heat the bottom screws to loosen the rail because of special lock tight. This requires SKILL & TIME! DO NOT ATTEMPT if you do not have the tools or the knowledge. This is a must have for the new gold Scars! matches perfectly and performs amazing. 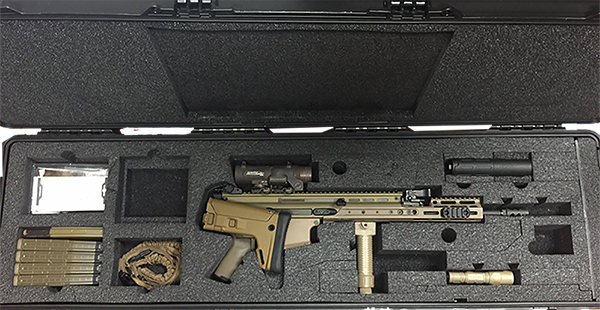 Fits a folded Scar with about 13.5″ of room or non-folded scar with about 3.5″ of room for magazines and accessories on left side or centered. 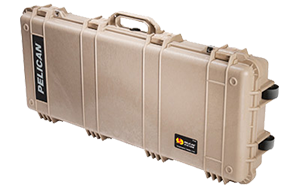 Fits a folded Scar with about 22″ of room or non-folded scar with about 12″ of room for magazines and accessories on left side or centered. Scar 16 delivers the experience a close quarters operator can appreciate. Pin point accuracy, super light weight, exceptional reliability and match winning versatility of the FN SCAR 16, the semi-auto only version of the U.S. Special Forces Service Weapon. Chambered in 556 Nato, the FN SCAR 16 features a free-floating, cold hammer-forged MIL-SPEC barrel with hard chromed bore. Fully-ambidextrous operating controls instantly adapt the FN SCAR 16s to any user or any shooting position. 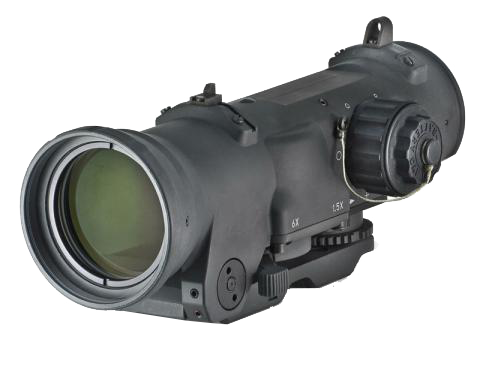 The receiver-integrated MIL-STD 1913 optical rail plus three accessory rails enable mounting of a wide variety of scopes, electronic sights, tactical lights and lasers. The telescoping, side-folding polymer stock is fully adjustable for comb height and length of pull, making the Scar 16 ideal for any combat situation. 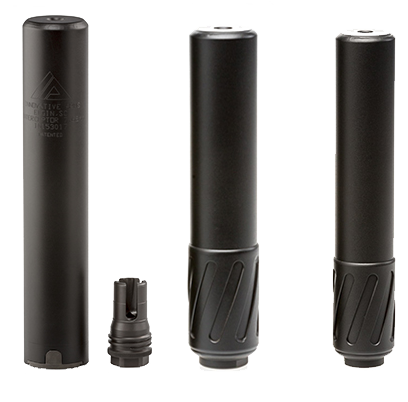 One of the items offered on FN57SALE is the ability to add a suppressor to any one of our FN Firearms. The Scar 16s is no exception. This gun shoots a fast round that makes an impression when the trigger is pulled. If you are like me, a quality suppressor is a must have on any rifle, especially a 556 NATO The IA Interceptor 556 with Exo-Shroud makes for a perfect fit with the Scar 16. The look of the suppressor really complements the Scar design, and it also makes the beast of a machine purr like a kitty cat. 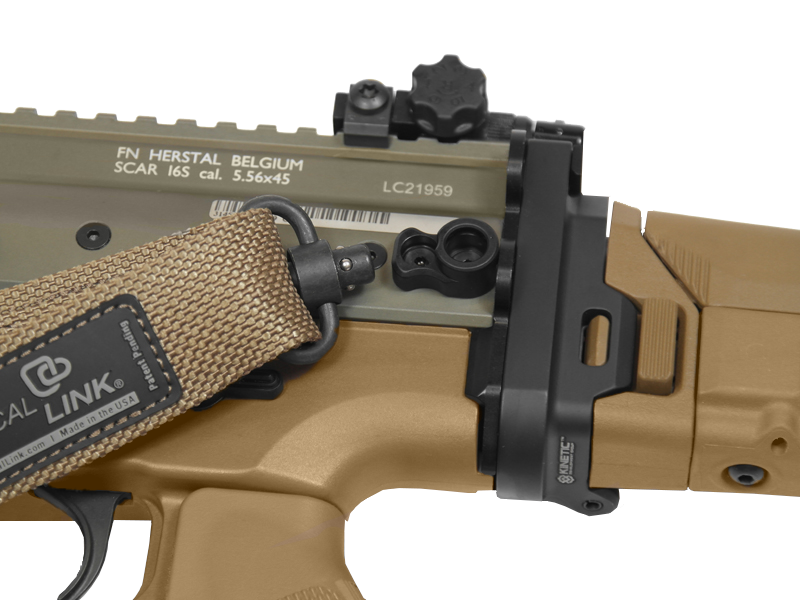 The quick disconnect system allows for easy on and off, so you can quickly muffle the sound of the 556 flying down range at 2600 feet per second toward your target.